TOKYO, July 8. /TASS/. The United States believes that progress has been made in denuclearization talks with North Korea, but it is too early to ease sanctions against Pyongyang so far, US Secretary of State Michael Pompeo said on Sunday. "While we are encouraged by the progress of these talks, progress alone does not justify relaxing the sanctions regime," he said. According to the US diplomat, the sides had "productive, good-faith negotiations" that will continue in the coming days and weeks. He said that North Korea reiterated its commitment for full denuclearization and readiness to engage in detailed discussions regarding next steps toward full and verifiable denuclearization. 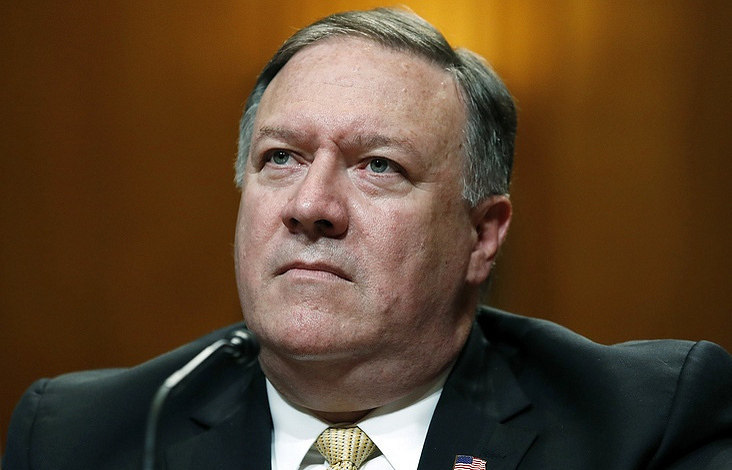 North Korea also confirmed its obligation to destroy its missile engine testing facility, Pompeo added. On top of that, North Korea agreed to hold a meeting in mid-July in Panmunjom to discuss repatriation of remains of US servicemen, killed during the Korean War. Pompeo also said that during his visit to Pyongyang, the United States and North Korea agreed to create working groups to deal with implementation of the joint US-North Korean statement, adopted by US president Donald Trump and North Korean leader Kim Jong Un in Singapore on June 12. 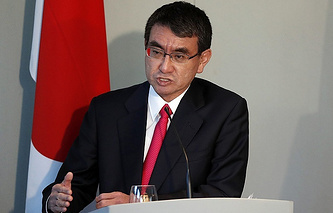 The top diplomats from the United States, Japan and South Korea gathered for three-party talks in Tokyo on Sunday. Prior to that, US Secretary of State Michael Pompeo paid a two-day visit to Pyongyang to discuss North Korean denuclearization with the country’s leadership.